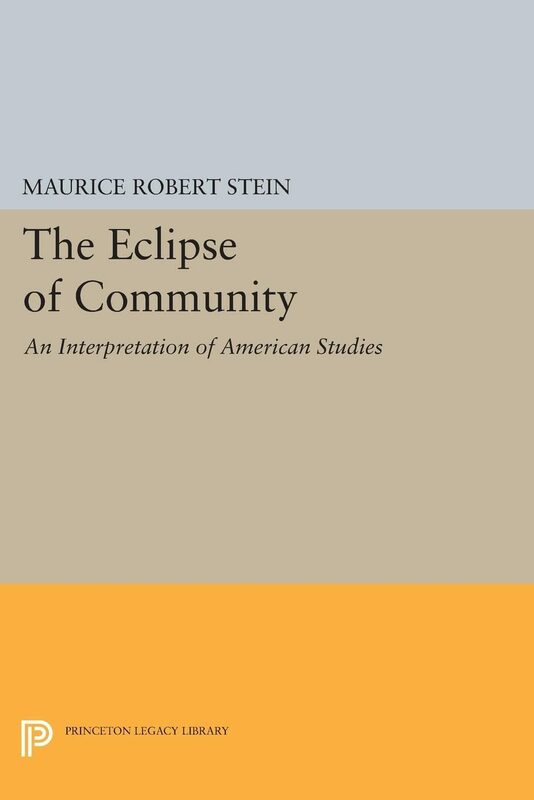 The author examines classic American community studies written during the past fifty years, such as Robert Park on Chicago, the Lynds on Muncie (Middletown), Lloyd Warner on Newburyport, to formulate a theory of American community development.Originally published in 1960.The Princeton Legacy Library uses the latest print-on-demand technology to again make available previously out-of-print books from the distinguished backlist of Princeton University Press. These paperback editions preserve the original texts of these important books while presenting them in durable paperback editions. The goal of the Princeton Legacy Library is to vastly increase access to the rich scholarly heritage found in the thousands of books published by Princeton University Press since its founding in 1905.